Danielle Mead Skjelver is the chair of the History Capstone Course Series at the University of Maryland University College where she is also the Collegiate Associate Professor of History. She is the author of the national award winning novel, Massacre: Daughter of War, as well as scholarly work on the intersection of gender and language in Early Modern Europe. 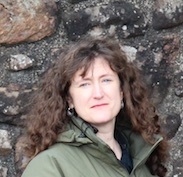 Her most recent publications include an English translation of Krigen mot Siouxene, a Norwegian monograph on the US-Dakota War, which she co-translated with Melissa Gjellstad. For her doctoral research at the University of North Dakota, Skjelver is translating François Hédelin’s treatise, Des Satyres brutes, monstres et démons.